I really had to embrace my crunchy side for this one. And I wasn’t going to tell anyone. But here I am, posting Exhibit A on the right. Let’s hope he doesn’t taunt me for it when he’s older. 2. 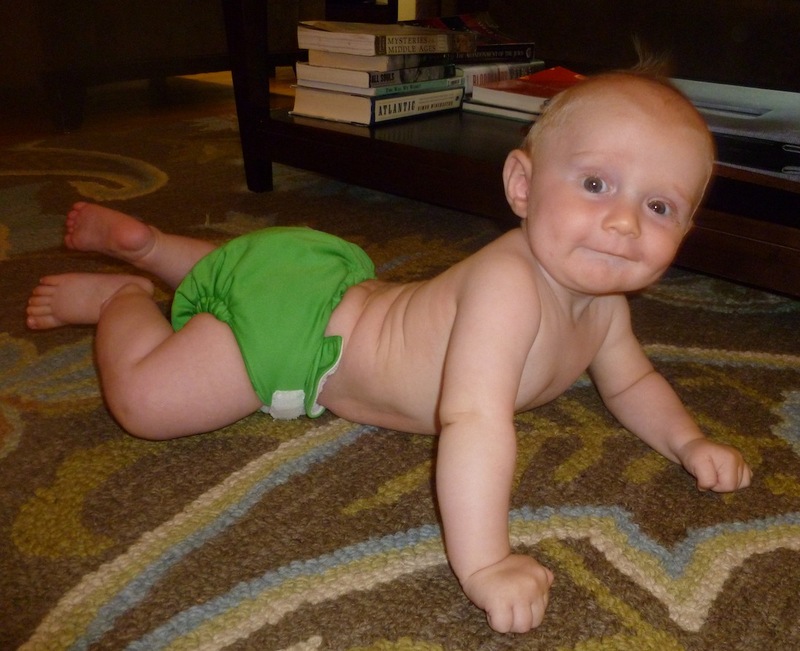 Disposable diapers generate a ton (literally) of garbage each year. That’s 3 ton per kid, and it takes over 500 years to decompose. After food, diapers generate the most garbage in landfills. You generated none. Even your wipes were cloth. 3. Your diapers were cute, with bright colors and even polka dots, they looked more like clothes. 4. It really wasn’t so gross. I stored the dirty ones in a sealed laundry basket, washed twice a week and used a flushable liner, so I never put solid waste in our washer. 5. To save a few thousand dollars, I did a little more dirty work–which turned out to be not so dirty and not so much work.